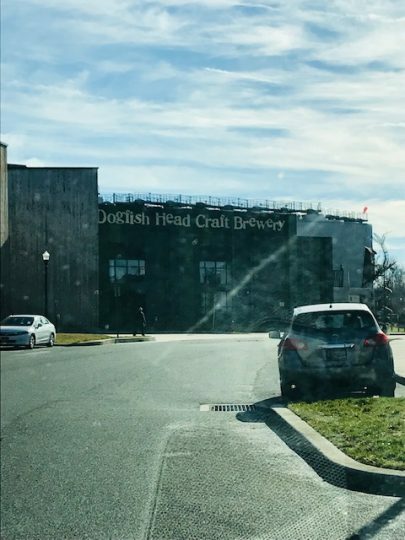 Over the winter break, I went to visit the Dogfish Head brewery in Milton, Delaware. It was an experience I will never forget. The atmosphere of this place is fun, laid back and the craft beer is great. My personal favorite beers when visiting Dogfish Head, were the Namaste White and SeaQuench Ale. 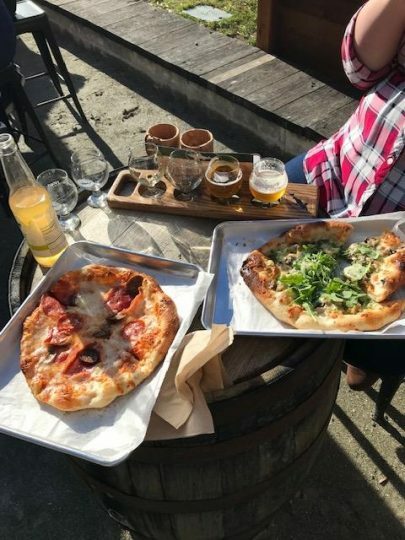 According to Google Maps, Dogfish is 25 minutes from their Rehoboth Beach locations, Brews & Eats and Chesapeake and Maine, and they also have a hotel in Lewes, DE. The food at Dogfish Head. When we went into the tasting room, it was very artistic and comfortable. They have a bar and outdoor area with bean bag toss and a food stand, it’s a great place to hang out with family and friends. After drinking good craft beer, and suddenly developing an appetite, there is a food stand in the outside area. The stand serves small items like pizza and sandwiches. My highest recommendation would be the mac-n-cheese, and the pizza with different meats on it. My wife and I took a tour and were amazed how they brewed the beer and the distilled the spirits at Dogfish head. I recommend taking the Grain to Glass tour at the brewery. It costs $30, but you get to see behind the scenes, as well as sample some great alcohol and walk away with a souvenir. To go on this tour you need to be 21 years or older, and you must wear closed toe shoes. Before you leave the brewery don’t forget to check out Dogfish Head’s gift shop, which is next to the tasting room. They have all kinds of nice souvenirs such as T-shirts, hoodies, beer soap, etc. for anybody who loves Dogfish head. Don’t forget, they also sell their beer and spirits, so if you need beverages for the beach or while fishing, be sure pick some up at the gift shop. The outdoor eating area at the brewery. My overall experience of the brewery was excellent. 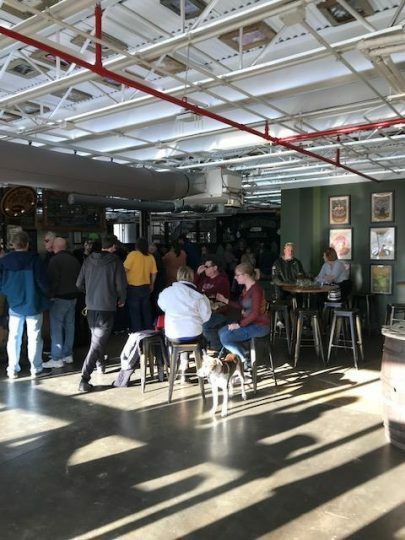 If you plan on venturing down to the Delaware/Maryland beach area, be sure to make a pit stop at the brewery. As I mentioned earlier in the article, its great place to hang out with friends and family, as well as eating good food. I recommend visiting this place for the rest of your lifetime, as well as taking one of the tours Dogfish offers. 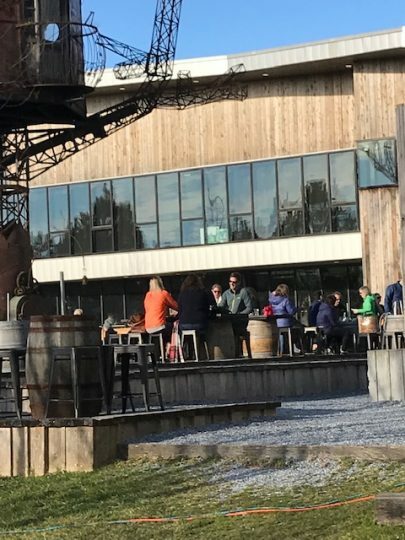 So if you’re in Delaware, take a trip to the Dogfish Head Brewery, it is a unique experience to see. Always make sure you have a responsible driver when visiting the brewery if you’re going to drink, and never drink and drive.